Waterproof Washable Neoprene Baby Bibs. Our factory accept ODM the Neoprene Baby Bibs, Washable Neoprene Baby Bibs, Waterproof Neoprene Baby Bibs. It's good sell style and washable. The best chooes for baby. 1) The neoprene bib, designed for children aged 7 months up to 12 months. 3) Adjustable Velcro strap and flexible fold-out pocket. 2.Low MOQ:500pc . It can meet your promotional business very well. 4.Good Service : We treat clients as friend. 5.Good Quality :100%check ,before delivery. 6.Fast & Cheap Delivery: We have big discount from forwarder (Long Contract). If you have any question about our Waterproof Washable Neoprene Baby Bibs,please do not hesitate to contact us. 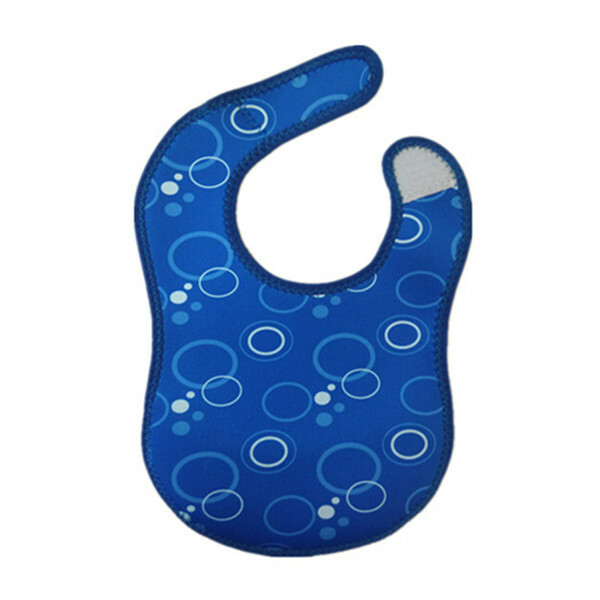 Looking for ideal Neoprene Baby Bibs Manufacturer & supplier ? We have a wide selection at great prices to help you get creative. All the Washable Neoprene Baby Bibs are quality guaranteed. We are China Origin Factory of Waterproof Neoprene Baby Bibs. If you have any question, please feel free to contact us.